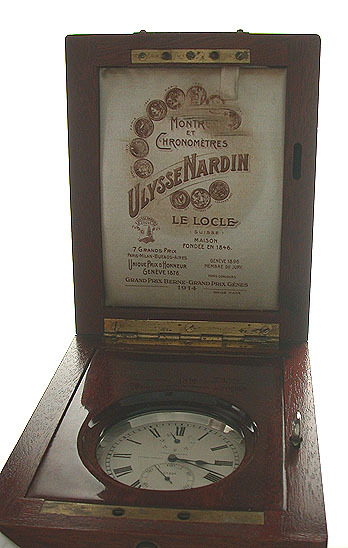 Fine Ulysse Nardin dead seconds circuit breaker stainless steel deck watch with electric contacts in box circa 1945. 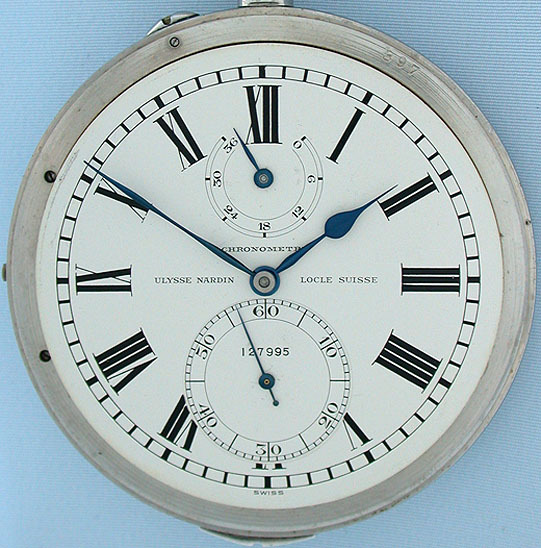 Silvered dial with black markings and blued steel hands with winding indicator. 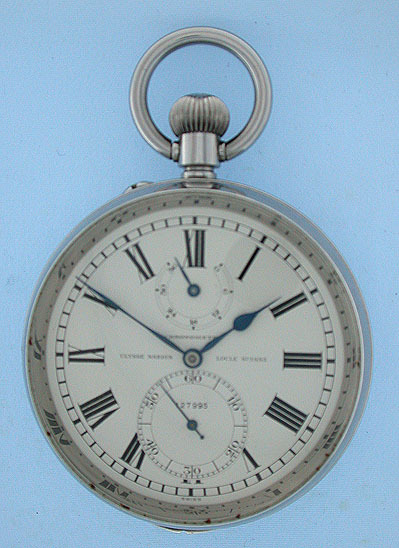 (The spots around the circumfrence of the bezel are actually reflections of the dial markings in the beveled edge of the crystal.) 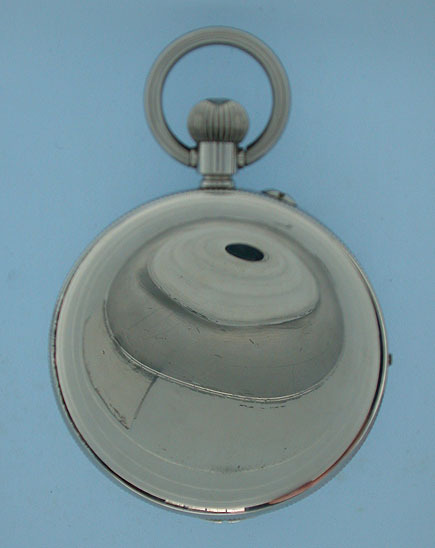 Plain polish nickel case. 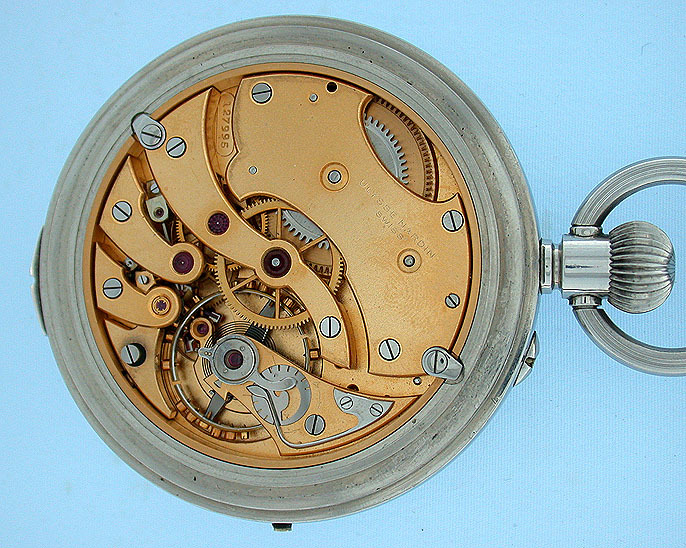 Gilt 19 jewel movement with precision regulator and electrical contacts to syncronize larger clocks. 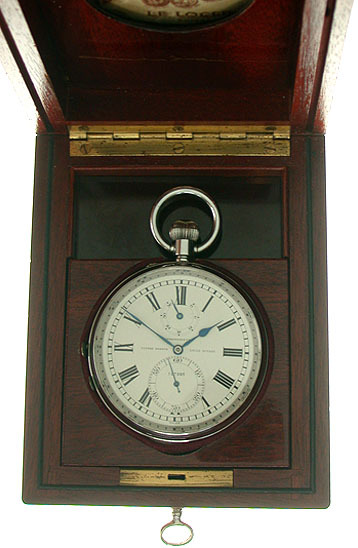 A fine watch in excellent condition throughout. 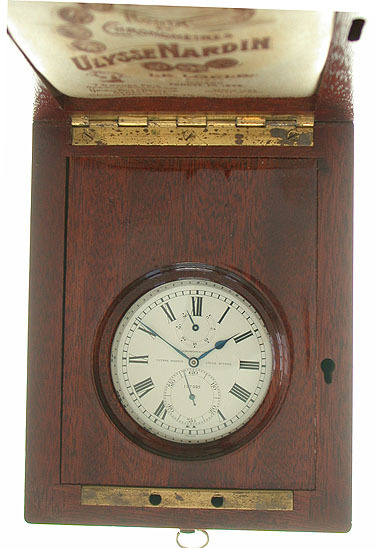 It is interesting to note that the numbers on the watch and box do not match. 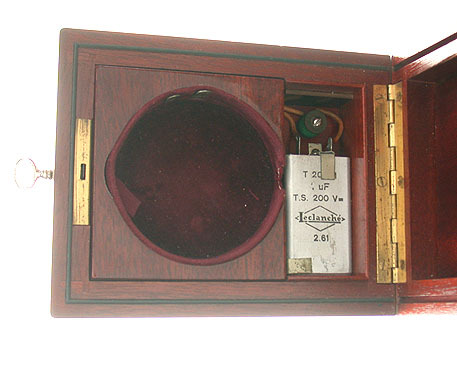 We have seen this before and assume that in the rush to put these deck watch back into war service, there was little concern about matching serial numbers as long as the watch got put back in an appropriate box.